We’ve got $50 REA$ONS to tell your friends about MRI of CHARLESTON! One of the greatest compliments that our patients can give is the referral of their friends and family. 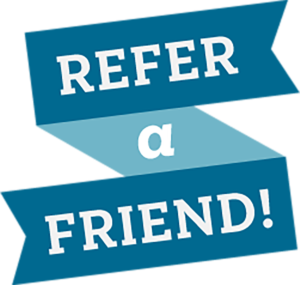 The MRI of Charleston “Refer a Friend Program” allows you the opportunity to receive a $50 gift card each time you refer a friend for a self-pay MRI! Just request an appointment online and give us the details of your referral in the comments section.